Hey guys! Since i am officially not having class till my graduation this mid year, i decided to do some challenge for myself. Few days ago while i was on www.whowhatwear.com to read some fashion news, this article about 30 Tiny Ways to Dramatically Improve Your Look Now just caught my attention and i decided to join in! Well actually i am not gonna follow 100% of the style from day 1 till 30, yet i will do the challenge randomly, include all the key items and probably change something accordingly. 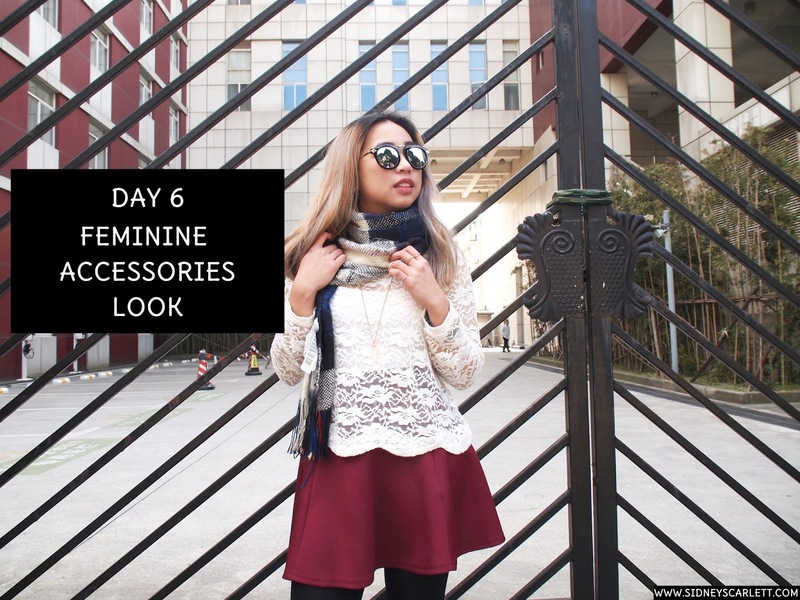 Here is my day 6 look! The plan today was to be feminine by adding some accessories, but i guess the lace top was kind of feminine already, plus i wore a flare skirt. So i just garnished my fingers and on top of the lace top, i added my favorite necklace piece last year, the one with the crystal pendant. This time i had gold rings only because as i told in the previous post here that i need some more stock of silver rings. It was not the perfect day to wear lace top with only one layer with no more protection during these days, which is why i always have my saviour scarf with me to literally everywhere. Besides the super warm effect i got, the colors were pretty coordinated with the whole outfit look. Yet, the breezy feeling underneath this one lace top was strong. I love rings which were meant to be in the quarter of my finger, for example was the one i had in my ring finger. It just stopped in quarter, yet still look elegant and beautiful. Moreover, it kind of balances the other rings that i put all over my fingers. This ring finger will definitely be the spotlight, since i picked the one with swirl effects and bits of artificial little diamonds. How i just adore them. And i believe the skirt i had was originated from my wardrobe that i have not touch since forever, when i am super busy taking other outfits that i found closer to me. To tell you the truth, i hope i used this one sooner, because i love the soft and stretchy materials, i love the color and i love the shape on how it flares and gives that silhouette of skinnier legs. 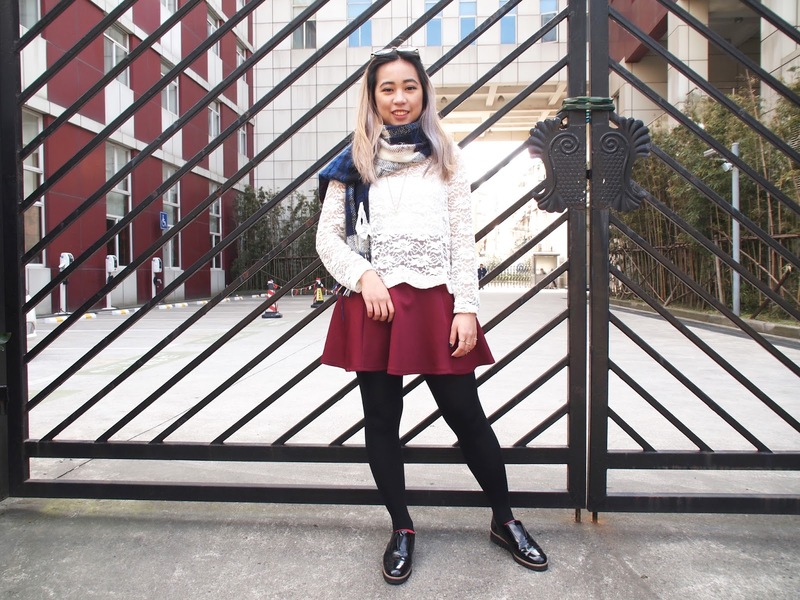 This winter, whenever i am lazy to put jeans or pants on, i just find numerous flare skirts, mix and match it with my top, then add black stocking. And a boots or shoes. Perfect feminine go-to winter outfit.